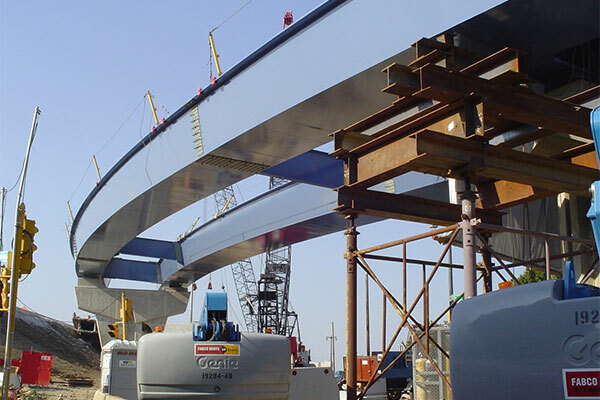 Kraemer performed reconstruction and demolition of the entire interchange prior to reconstruction, which included 21 bridge structures that utilized a combination of pre-stress concrete girders, steel plate girders, and structural steel tubs as the main structural members. One of the important elements of this project revolved around the numerous levels of elevated structures. This was not only critical during the erection and construction phase but also during demolition activities. Aggressive project management and schedule re-sequencing early on allowed numerous important activities originally slated for the second and third construction seasons to be completed during the first 18 months of the project. Work was thus accelerated and substantial completion was achieved two months ahead of schedule.